Cast your vote for the 2016 Awards of Excellence! 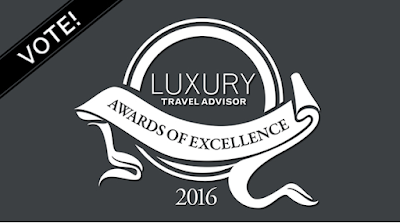 Esprit Saint Germain is nominated for the 3rd time to become the “Top Luxury Boutique Hotel Worldwide” by the famous Luxury Travel Advisors Magazine. Voting is open to Travel Advisors only. Click here to vote. Please do voice your opinion. Voting ends March 24th, 2017.